This post is sponsored by Fabness. I received a free item in exchange for an honest review of the product. For the past few years, my family has wanted to have a nice family photo of the four of us. With our busy schedules, there never seemed to be time. Recently we were together and someone offered to take our photo. I loved how it turned out and wanted to make a special print for us. The next day a friend happened to tell me about a canvas print she ordered online from Fabness. I decided to order one for myself and surprise my family with it. 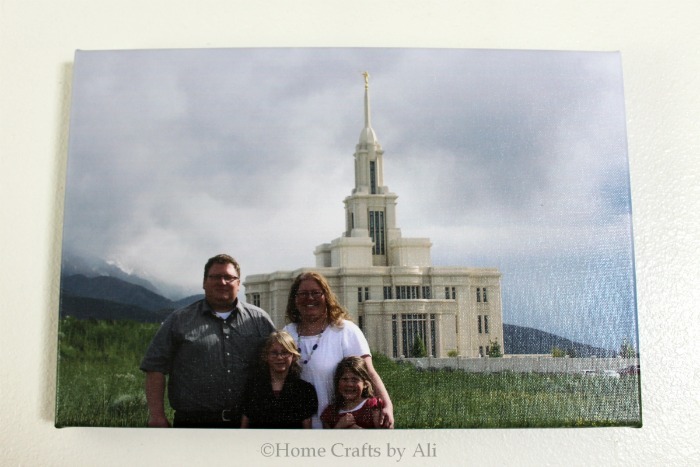 I received an affiliate code to get a free 10" x 15" canvas. 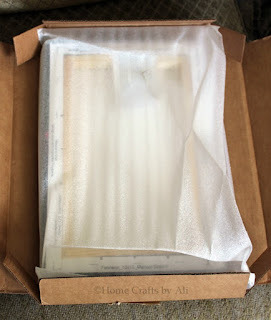 When ordering my canvas, I couldn't believe how easy it was. 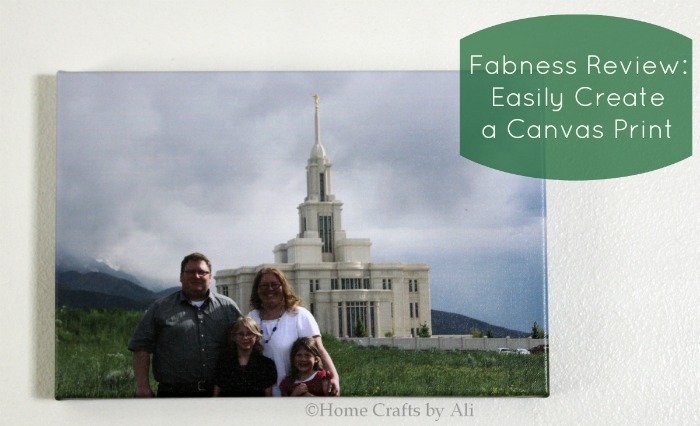 There are quite a few options for different sizes of single canvases, photo blocks, and canvas sets. You pick which shape and size canvas your would like and click on it. Then you easily upload an image and it shows you a preview of what your canvas will look like. They advise you to upload an image at a very high resolution so the photo on the canvas is crisp and clear. You can then edit the image and proceed to the checkout. It took me a total of 2 minutes from start to finish to order my canvas print. I received an email telling me that my order would arrive in 10 business days. 7 days later I received their package in the mail! 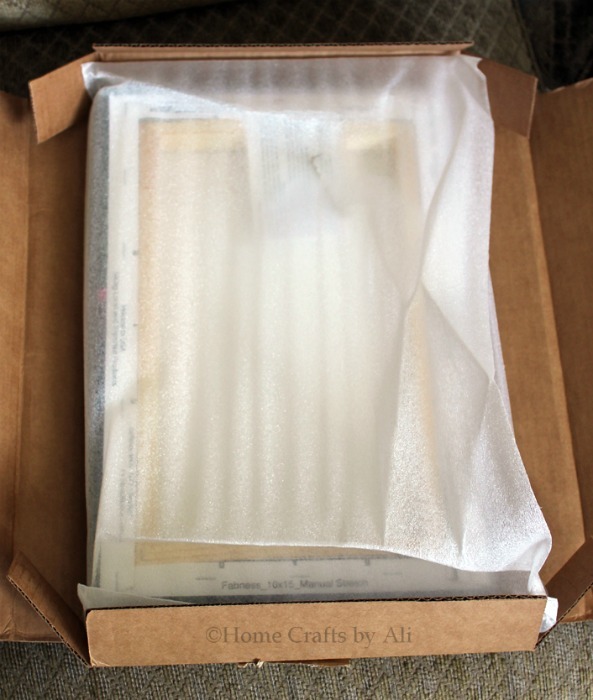 It was shipped in a thick secure box and the canvas was wrapped. I was pleased by the quality of the wood frame, the thick canvas material, the color of the print, and the ink used to print on the canvas. They even include easily attached hanging hardware. 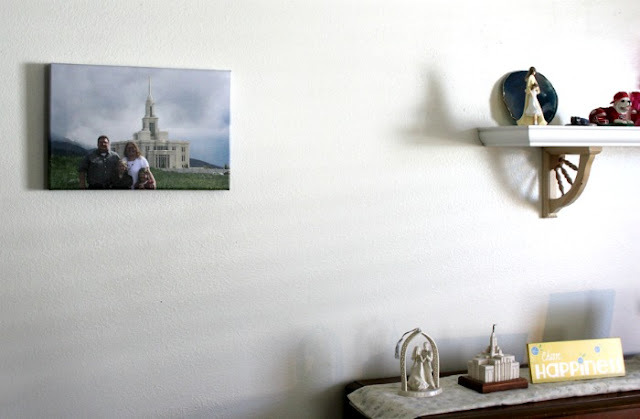 I put up the canvas print as a surprise for my family when they got home in the afternoon. They loved it! It looks so nice and is a wonderful way to save this memory for us. I plan to order more canvases from Fabness in the future. Another great part of ordering with Fabness is they seem to always have discounts available for their customers. There are coupon codes listed on every page of their website and if you visit their Facebook page you will find other discount codes. That's a great family picture, just beautiful! I wouldn't think it would be so affordable for a canvas print! Thanks Debi! Their original prices are quite a bit more, but they always have sales and deals going on. The canvas I ordered, you can get for around $27 on sale. Glad that I could let you know about a new place to order from! I've never done canvas prints before but really loved how it turned out! I might do some of my landscape photography prints next time. Thanks you, we are loving it!